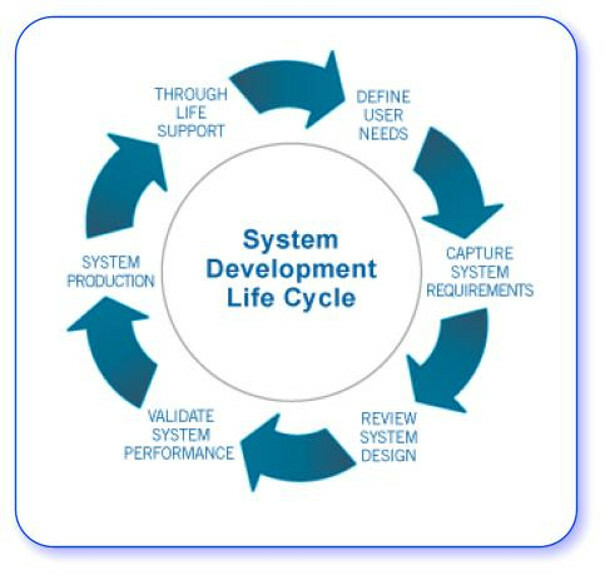 Systems in this context mean the combination of Business, Human and Information processes to enable, support and provide a business with a given set of functionality. Our highly skilled Consultants and Information Systems Architects can assist your business and technical people through all phases of the process, or do all the hard work for you. Example: A new Payroll System requiring previously unavailable functionality must be acquired or built. Business Stakeholders (Management and HR) communicate the business requirements for a new payroll system to the Solutions Architect responsible for proposing and delivering a new solution which may include Common Off The Shelf (COTS) Software or a Custom built Solution or a combination of the two. The proposed Solutions are communicated back to the business along with estimated costs, risks and advantages associated with each option. When Business Stakeholders and the Solutions Architect have agreed upon a solution, the new software is either acquired or developed, and, when ready, Implemented in a User Acceptance Testing Environment where it is tested and accepted, or not, by the Business. Once the Business is satisfied that the new System delivers what was required of it, Staff are trained to use the new System and it is used in "Production". All Systems used within a business, require regular checks to be run against Operational System to assure optimal performance, for under-performing systems further development may be required. In the case of a COTS Software, vendor support contracts and licenses may have to be acquired and maintained. Like any piece of Equipment, Information Systems should also have a retirement date and this should also be factored in to the life cycle of a system for replacement purposes. The simplistic example above is by no means exhaustive, rather an overview of the process.